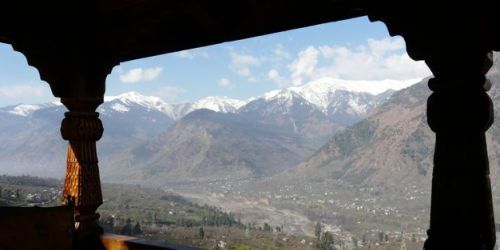 What can really be deemed as the specimen of unique medieval stone and a mansion with woodcarvings, Hotel Castle at Naggar perched high on a cliff and was the stronghold of the rulers of Kullu for over two centuries. Situated on the left bank of river Beas at an altitude of 1851m, the castle was built by Raja Sidh Singh of Kullu. The medieval Castle was converted into a Rest House approximately hundred years back. However, in 1978 this ancient building was handed over to HPTDC to run as a Heritage hotel. 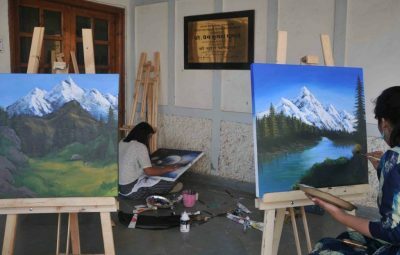 The Hotel overlooks the Kullu Valley and apart from the spectacular view and superb location, this has the flavor of authentic western Himalayan architecture. 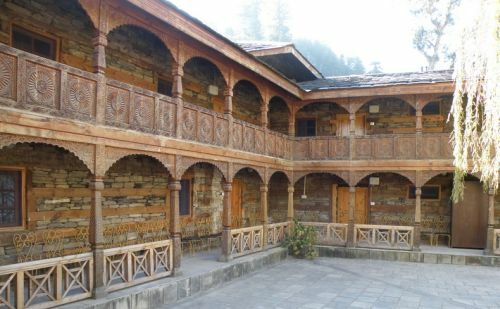 A fine example of timber-bonded building of Western Himalayas, the vicinity and the atmosphere at Nagger is pleasant and unhurried which makes it is good place to stop a while. 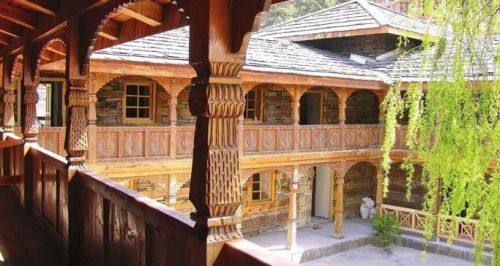 Here a gallery houses the paintings of the Russian artist Nicholas Reorich, Naggar also has three other old shrines. Now a HPTDC Heritage Hotel, it offers a grand view of the valley. 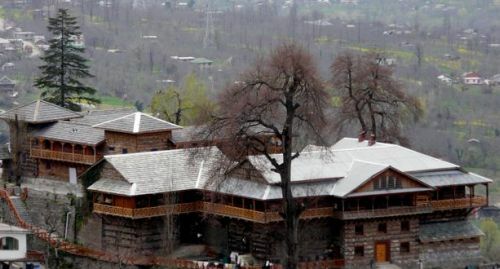 The amazing location and spectacular atmosphere added with a unique charm of medieval stone and a mansion with woodcarvings, Hotel Castle at Naggar makes you breathe in what can really be called as the nature’s heaven. The antique architecture that withstood the massive earthquake of 1905, the hotel Castle at Nagger lets you live in the sheer luxury that only Raja used to enjoy. 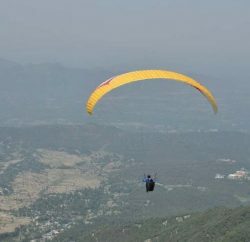 Raison: At a distance of 13 km and near to the banks of the Beas – and on the Kullu- Manali highway- Himachal Tourism runs an adventure and camping site. 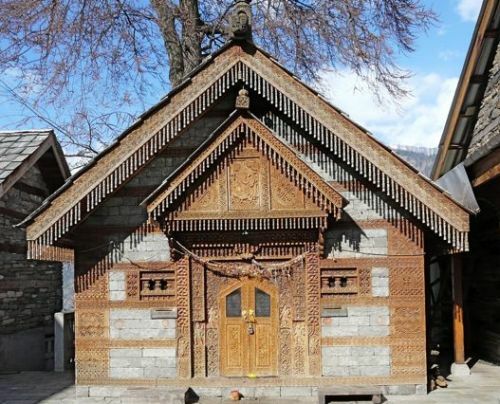 Jagatipatd Temple: In the upper courtyard of the castle there is a tiny temple -a small square structure which contains “Jagtipatt” a slab of stone measuring 5’x8’x6″ which is said to have been brought from a place near Vashisht by honey bee. 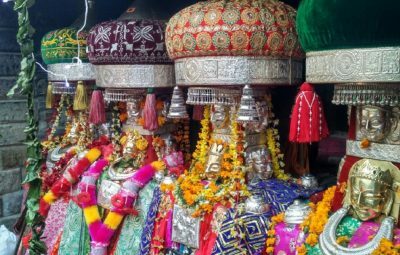 This is also place for meeting of local deities of Kullu. Tripura Sundri Temple: This pagoda shaped wooden temple is situated in the upper part of the village. This is also a rare example of architecture. 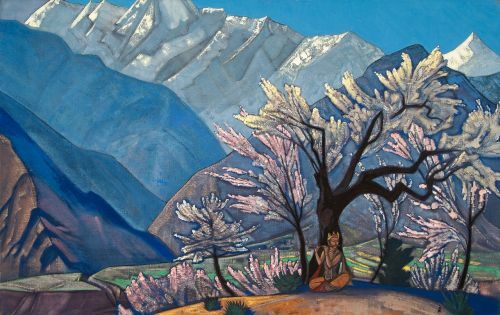 Nacholas Roerich Art Gallery: Prof. Late Nicholas Roerich and illustrates interestingly reputed artist had chosen Naggar as his residence when he came to India in 1929, the house has now been converted in an art gallery which houses many numbers of rare paintings of Roerich and other specimen of art. The gallery is open for visitors. Gauri Shankar Temple: At the foot of small bazaar below the Castle is the Gauri shankar Temple dedicated to Lord Shiva. There is a charming example of architecture and carving of its particular period. 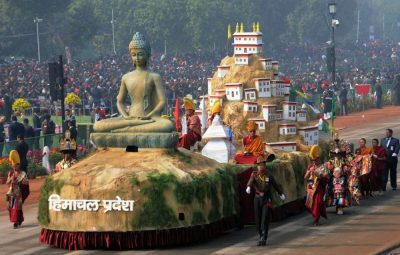 Apart from the scenic splendor and antique architecture, the place also serves as a ground for some adventure and fun loving people. 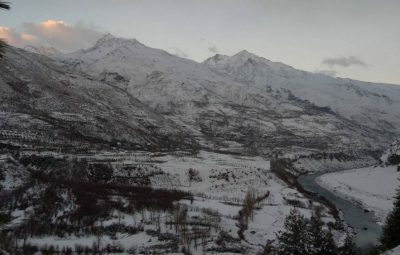 The Kullu Valley has numerous places for trout fishing. 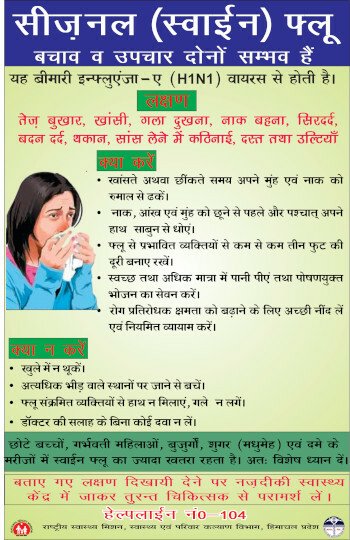 These includes Katrain, Raison, Kasol and Naggar; then along the river Tirthan near Larji, in the Sainj valley and in the Hurlakhund. 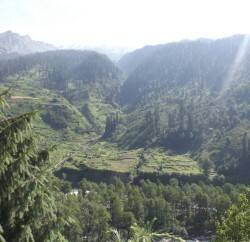 The valley is the nucleus of several trek routes. 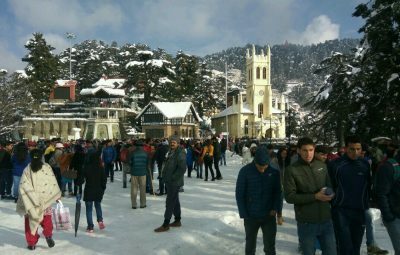 Some major ones are over the chanderkhani Pass to Malana village, over the Jalori Pass or Bashleo Pass to Shimla, and over the Pin parvati Pass to Sarahan. 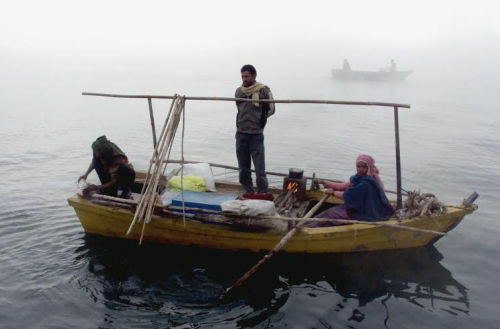 Additionally, the river Beas offers excellent opportunities for white water rafting.